The question for people losing their sight – glasses or lenses? Home » Eye health » The question for people losing their sight – glasses or lenses? 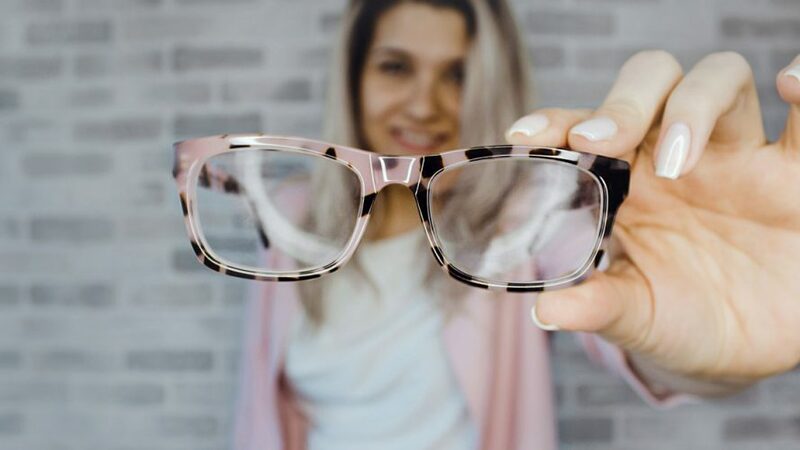 It depends on the individual, but new vision correction innovations mean there are now big benefits to both glasses and lenses. If you need vision correction, how do you choose the best option for your needs? It depends on individual preference of course: some people may feel self-conscious about wearing glasses; others dislike the idea of wearing contacts, and can’t imagine putting a lens directly onto their eyeball. 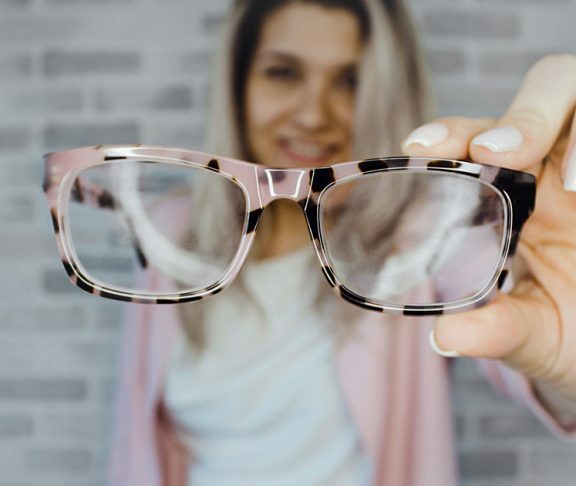 Frame technology has advanced so much that there are now glasses for every occasion, from rimless lightweight and sport wraparound to fashion frames. “There is no need to be embarrassed about wearing glasses anymore,” says Steele. “Lots of our customers really embrace it and have an ‘optical wardrobe’.” Why spend thousands on a bag, she asks, and only have one pair of glasses? There have also been huge improvements in lenses for spectacles, too. When Steele first started in practice, any lens above a moderate prescription was thick and ugly. Now, however, a variety of materials are available — and those with a higher refractive index ensure greater power in a much thinner lens. Reflection-free coating is also available. There is no need to be embarrassed about wearing glasses anymore. The advice: discuss the best solution for you with your optometrist.